To celebrate World Oceans Day (8th June), WWF Hong Kong commissioned me to create this set of 7 maps for marine conservation priority sites in Hong Kong. 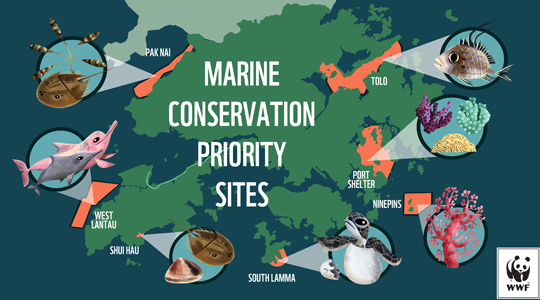 WWF is working with the government to create marine conservation reserves in these areas. The maps show some of the key species found in the region, as well as the threats and conservation pressures that they face. The maps were displayed at kiosks and interactive devices at the WWF Hong Kong event 'Sea for Future', held on World Oceans Day. The maps are also being used in WWF's marine conservation and awareness collaterals. 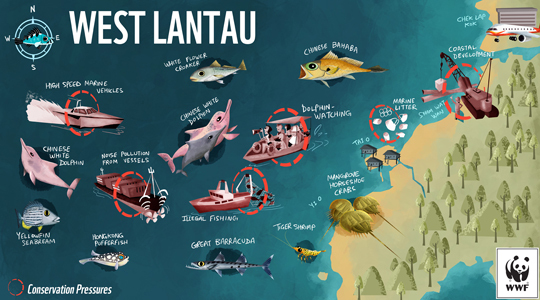 Thanks to Samantha Lee of WWF for commissioning me for this project, and for giving me a chance to draw and learn about fish!